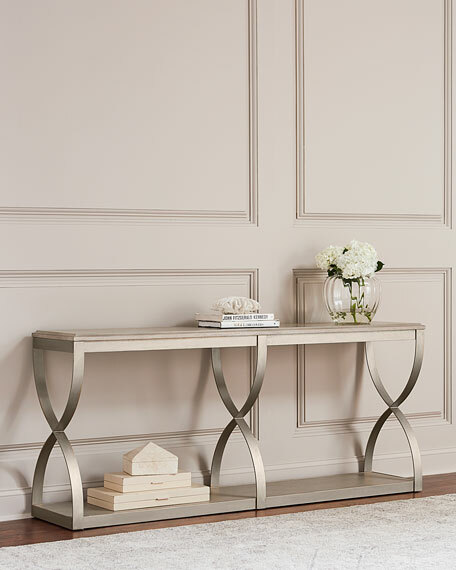 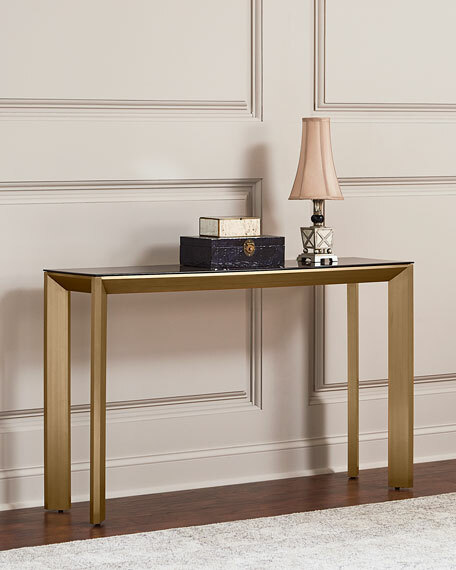 This console table is light and graceful with a scrolled leg motif in a champagne silver finished metal and a light gray/beige wood top with a detailed scrolled pattern. Lightly sandblasted to create texture and depth on the top. 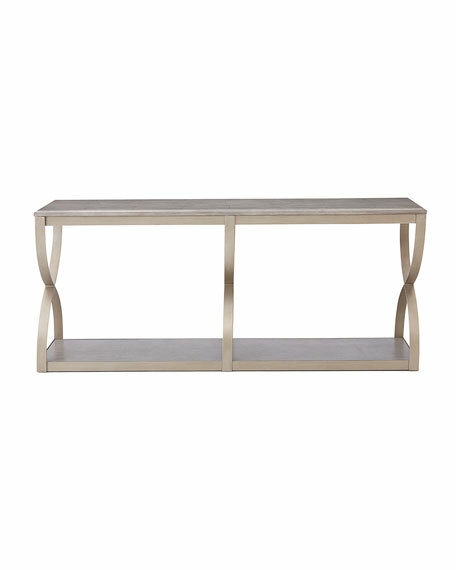 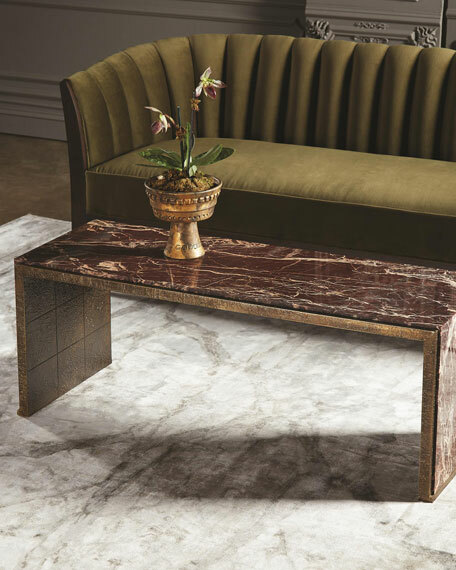 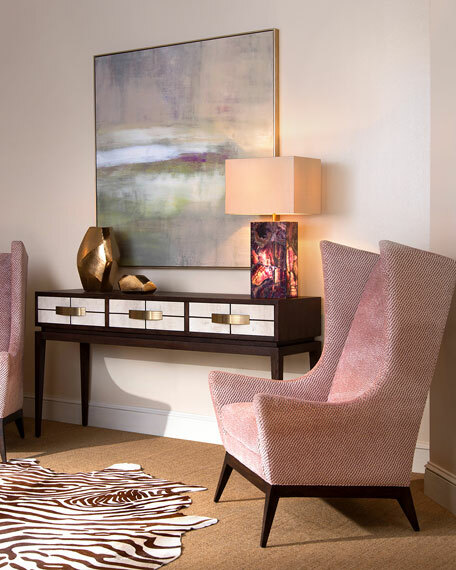 This console is an excellent sofa table option or a graceful buffet or server in the dining room. 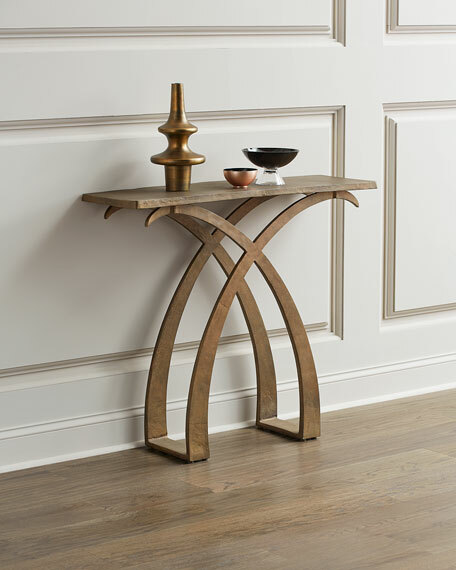 77.3"W x 16.5"D x 33"T.